Coming soon, we'll be opening a gaming area at our Ayr River Street Store on Friday 26th April 2019. * Beta / work in progress photo - stuff on the floor and unruly looking cables do not represent finished product. For the sake of covering a few FAQs, this page details a few points that gives an idea of what's happening. 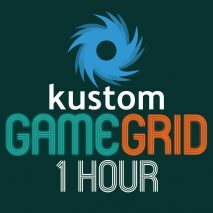 Kustom Game Grid (Kustom GG) is our gaming arena space opening in April 2019. It's the rear part of the ground floor of our new store and is a space to play games with your friends. Sure, you can play games at home, but there's a more exciting atmosphere in person, so it's a great way to play alongside your buddies, and also a place where we can host events and competitions. This is now answered in detail on opening hours and calendar page. This is now answered in detail on pricing and booking page. Which games can be played? This is now answered in detail on games and PC config page. Are the PCs any good? We expect to host a mixture of themed social and tournament nights. These will be announced in due course and shown here and on social media feeds. These will often be based on customer feedback, but certainly popular eSports titles will be picked and we aim to host events based on particular themes. eg a schedule that will have a rotating fighting games night, racing night, retro night etc. The themed evenings will have a fixed entry price rather than 'per hour'. Are there any criteria to sign up? We use ggLeap to manage the centre, and you will need to create an account on the clients here when you visit for the first time. This time will not be charged and you'll be guided through the process. You'll need your name and email address. You may also want to have access to your game accounts to be able to play your game titles. Further instructions and explanation will be added at the time of launch. There is no age limit on use of the centre, but any customers under the age of 13 must book in and remain supervised by their parent or guardian. A seating area is provided nearby and free Wifi is available. Note, while we can provide technical assistance and setup help, it's expected that any players are already have some familiarity with PC gaming already, and we can't provide 1 to 1 supervision of your kids for the duration of a session. Those 13 or over are welcome to book in themselves, but note that for running any games with age restrictions, this will not be allowed without proof of age or a parental consent form being provided when setting up your account. There will be a seating area nearby to have a drink or snack, and a break from some screen time. To avoid damage to or generally mucking up peripherals, food and drink is not to be consumed at the computers. We'll add availability of a few packaged snacks and chilled drinks shortly, otherwise you're welcome to pack your own stuff with you. Game Grid? What's with that? You've seen Tron, right? ^^ Obviously, Armagetron is probably the greatest LAN party game ever - so it seemed fitting. 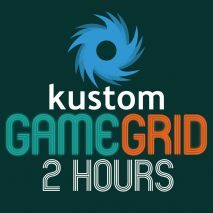 And we liked having Kustom GG, so why not. How can I be kept informed of when this is open? Ping over an email to sales@kustompcs.co.uk and we can let you know when this page is updated and the centre has a launch date. Otherwise, we'll probably mention it a few times on Facebook and with home page banners.